Stay connected with your email, calendar, contacts and files organized and accessible on all of your devices, wherever you are. Features include a powerful email tool, all-in-one calendar management with meeting scheduler and seamless integration with other Microsoft Office apps. New functionalities include Groups to make collaboration easier, improved search and file sharing from the cloud. 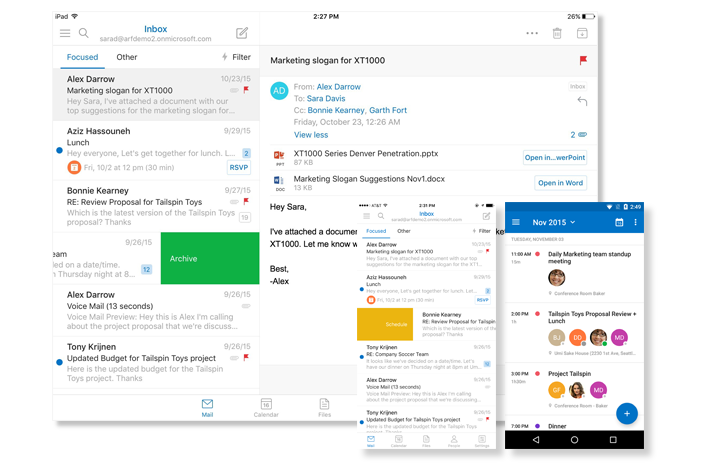 Microsoft Outlook 2016 comes bundled with a range of popular business apps as part of our Office 365 Business and Office 365 Business Premium packages.